"What we have here is an editorial, written and rewritten rapidly in order to voice an opinion on an immediate event of importance, in which are included a few factual inaccuracies somewhat pertaining to Mrs. Palin that are very rapidly corrected," the judge said. "Negligence this may be; but defamation of a public figure it plainly is not." The decision came weeks after the onetime Republican vice presidential nominee sued over an editorial titled "America's Lethal Politics." The editorial was published in June after a gunman opened fire on Republican lawmakers in Virginia, wounding U.S. Rep. Steve Scalise. The Times' editorial was corrected twice when readers complained that it appeared to blame a political action committee belonging to Palin for "political incitement" after it distributed a map depicting Democratic lawmakers beneath crosshairs before the 2011 shooting of Democratic Rep. Gabby Giffords in Arizona. The editorial originally was published online late in the evening. The newspaper issued corrections online the next morning and in print editions the day after that to remove those references and note the map showed electoral districts, not people, in crosshairs. The judge, known for philosophical asides, wrote: "Nowhere is political journalism so free, so robust, or perhaps so rowdy as in the United States. In the exercise of that freedom, mistakes will be made, some of which will be hurtful to others." He said if political journalism is to achieve its constitutionally endorsed role of challenging the powerful, lawsuits by public figures must be limited to when there is a "plausible factual basis for complaining that the mistake was made maliciously." 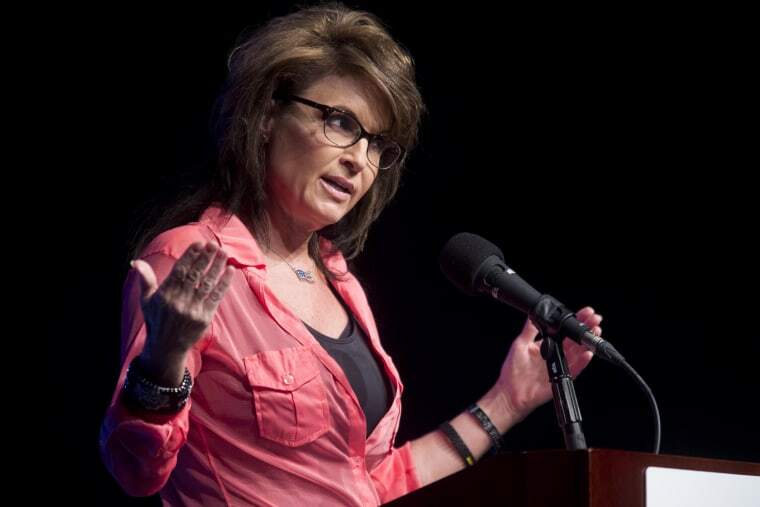 Lawyers for Palin did not immediately comment. In a statement, the Times said it was delighted with the ruling and regretted the errors. "Judge Rakoff's opinion is an important reminder of the country's deep commitment to a free press and the important role that journalism plays in our democracy," the newspaper said. The judge had previously heard testimony from James Bennet, the Times' editorial page editor, saying he thought the editorial was accurate when he approved its publication but later learned otherwise. The judge dismissed an argument by Palin's lawyers that the newspaper might have been trying to boost sales by attacking Palin. "As to the alleged 'hostility,' it goes without saying that the Times editorial board is not a fan of Mrs. Palin," he wrote. "But neither the fact of that opposition, nor the supposition that a sharp attack on a disfavored political figure will increase a publication's readership, has ever been enough to prove actual malice." He added: "There is not a shred of factual support, either in the complaint or in the evidentiary hearing, for the supposition that considerations of attracting readership ever entered Mr. Bennet's mind when he was drafting this particular editorial. Indeed, if that were his goal, one would have expected him to mention Mrs. Palin's name more than once in the editorial or use her name in the social media promoting the editorial, neither of which was done."